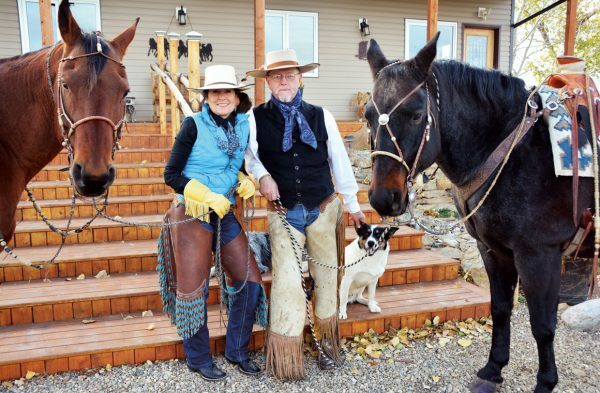 The wide veranda and sprawling wooden walkway stairs with their horseshoe-hung pole railings welcome visitors to Dale and Lacey Pfahl’s home in Rolling Hills, Alta. 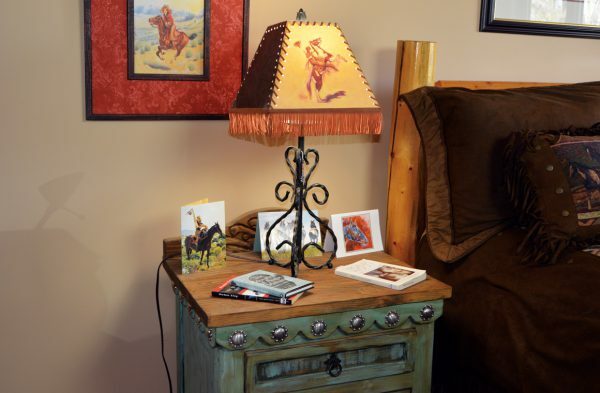 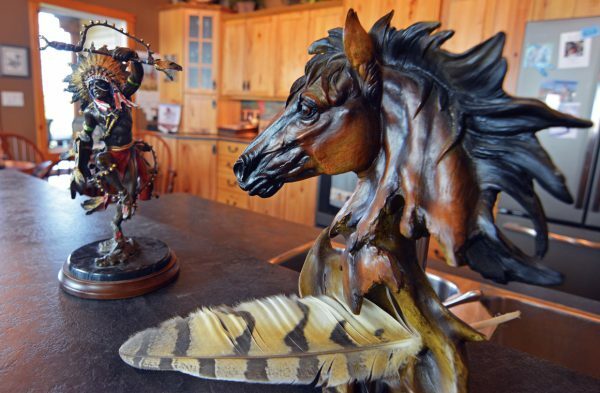 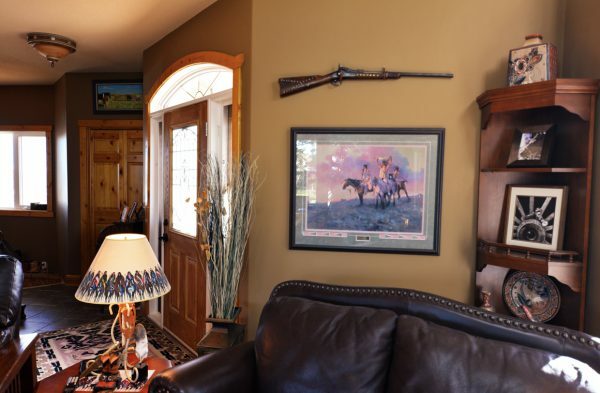 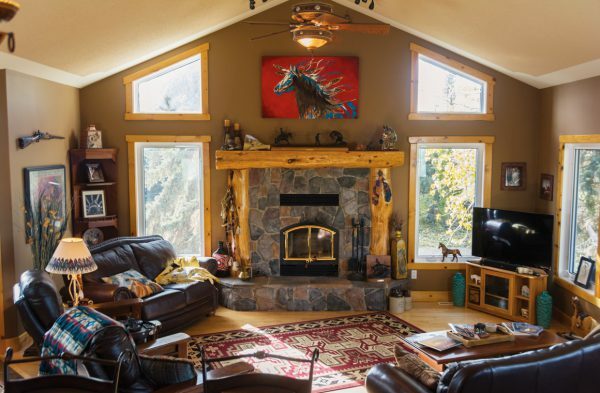 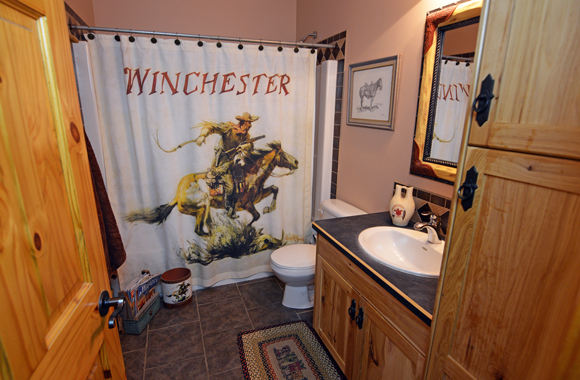 It’s obvious that these ranchers are lovers of horses and Western art. 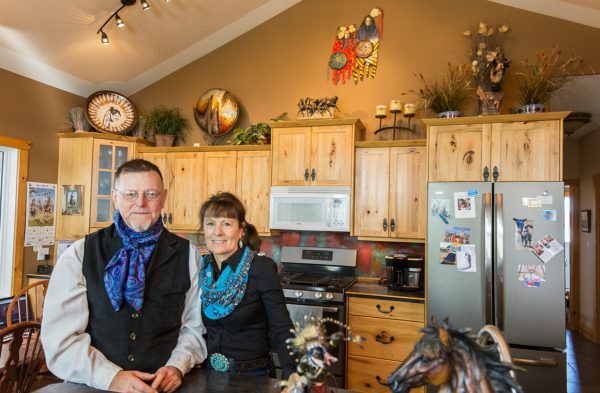 Their home is not only a museum of original art and antiques, it is also reflected in the Western clothing they wear. 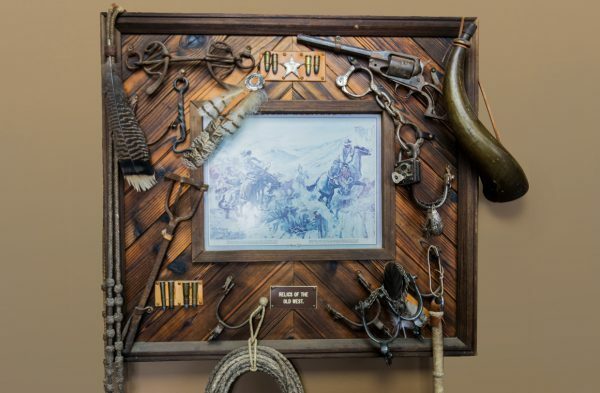 Dale is a silversmith of exceptional talent; he made their horse bits and saddle conchos with silver touches on the tack of their long line of breeding horses. 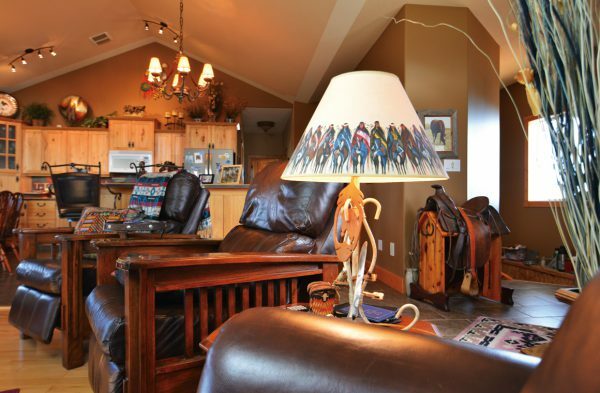 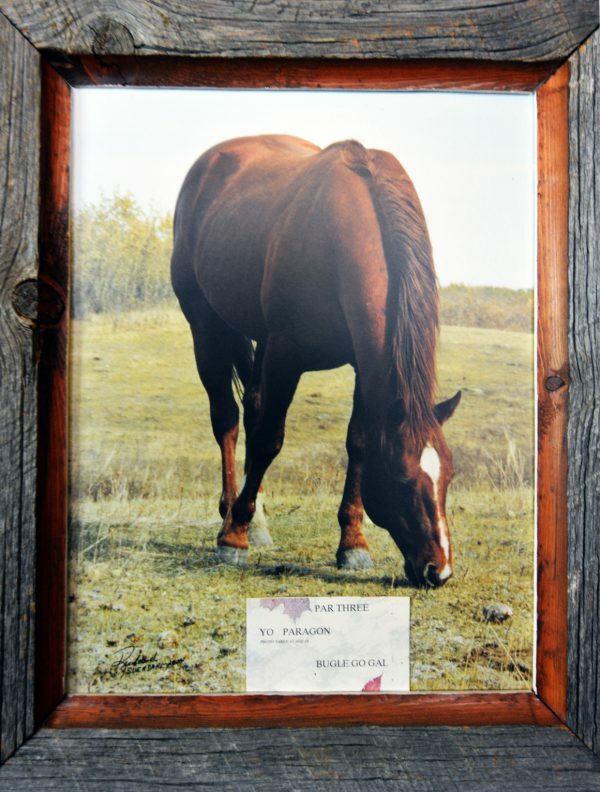 These horses carry the heritage of the past, as they are grandsons to the bloodline of Uncle Ivan Pfahl through his faithful stud, Yo Paragon, whose photo is displayed above the antique saddle in the front entry. 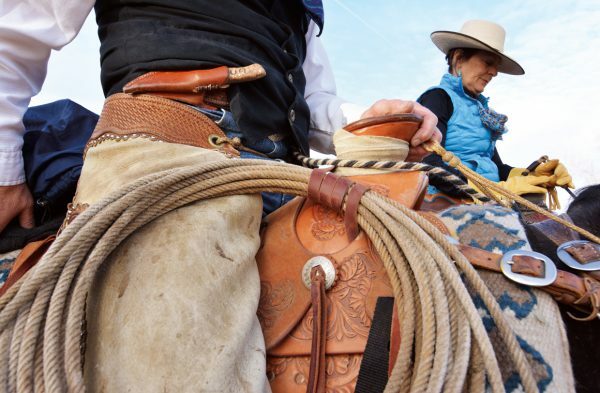 You can read the whole article in December 2018/January 2019 issue of Canadian Cowboy Country magazine. 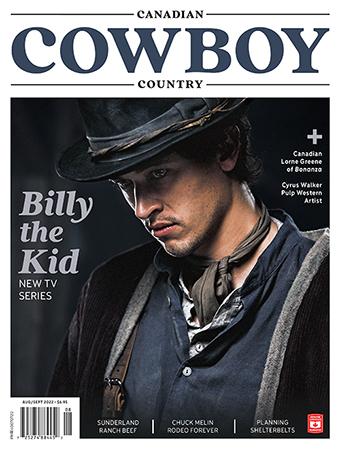 To subscribe, click here or call Marie at 1-800-943-7336.